The largest goose in the region. Thick neck with heavy, pink bill, greyish head and neck and pink legs. In flight, shows distinctive, pale forewing. 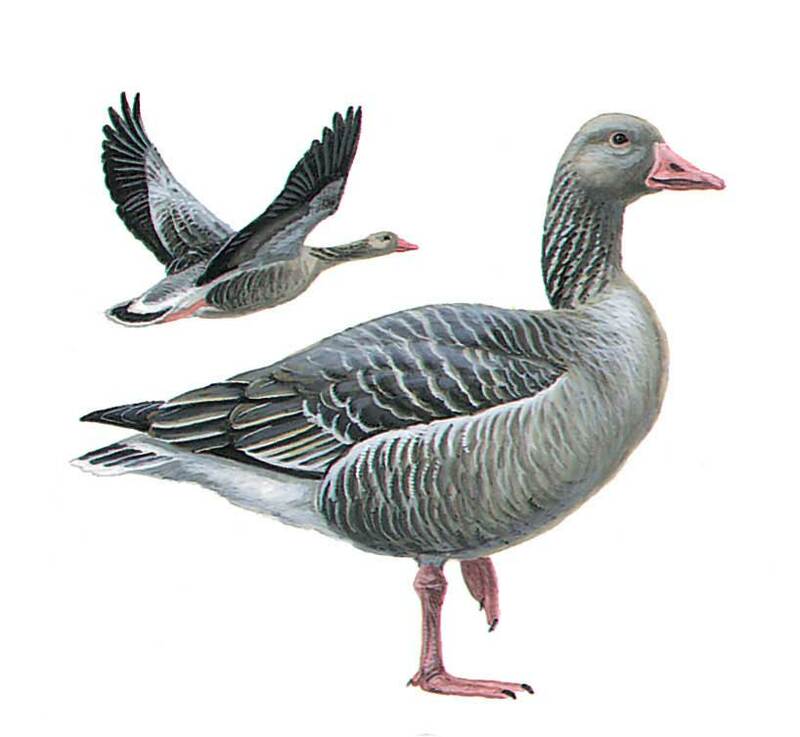 Upperparts more greyish than other grey geese, belly has small, black blotches, not forming bars. Juvenile simiar to adult but lacks transverse lines on upperparts and dark belly marks.